"uuummmmmm" Zak shrugs. "We moved to Japan because of my parents' jobs. I like it so far, but remembering all the ways to properly address people is hard." He exaggeratedly slumps his shoulders at the last bit. "I like taking pictures of all the places I see, and neat animals I come across, especially insects! I love the bright colors and different ways they adapt to the world around them." Kunemon perks up a bit, but continues to stay silent. "I think I'd like to work with animals when I grow up, but my Dad wants me to" he slips into English for this 'continue the Levesque family legacy' using air quotes. "And join the military. But it's not too bad, I still have time to change his mind, right?" He points ahead to Liollmon. "I think your partner found the trail split..."
Yuki says, "Ahh, yeah, I bet. I still have to cram every time tests are coming up, plus I bet it's even worse if it's not what you grew up hearing." She nods along as he starts talking about outdoorsy stuff. "Oh! Yeah, me too. I don't do so much in the way of taking pictures, but I used to have a sketchbook that I'd take out camping with my dad. I got pretty good at jotting down some of the cool birds and plants out in the mountains. Though..." Her face falls for a moment, before the smile returns. "It's been a while since we had the chance to do that." She looks up ahead to the fork in the road and, sure enough, Liollmon beat them both to it. He'd surely handle that little fact in a reasonable manner and not as continued evidence of his ability to single-handedly solve the digital world's problems. Yuki says, "Yeah, looks like you're right. You two are headed off thattaway?" "I think so. I gotta say, I'm pretty excited to see some giant insect hives." Zak's phone is already in his hands. "Imagine the pictures!" He pauses for one moment on his part of the trail split. "Just...be careful, okay? All the rest of us at least have some idea of what we're going up against, while you're headed off to fight a big question mark. If anything happens, scream, shout, send Liollmon. Our partners may not be perfect, but their hearts are in the right place, I think. Good luck!" And with that the boy and the bug begin walking at a brisk pace. Wait, no, that was dumb. What was she even thinking? "Um," she starts, and is quite relieved to close her mouth when Penmon speaks up instead. "I'm pretty sure I know where we're supposed to be going. Why don't I lead the way? Ogremon can tell us more about his friend as we go." "Sounds good." Mika gets up, brushes herself off, and the two of them head on out. Teru walked quickly, with her small Digimon scampering to keep up. "I wish I could fight," Teru said, after they had gone in silence for a while. "I hate the thought of putting someone else in danger for my sake." It was obvious Teru was referring to Salamon, and the Digimon paused, trying to look up at Teru's eyes. Teru avoided the probing gaze. "Just like you were chosen, I was chosen to be your partner," Salamon explained patiently, believing every word. "You don't need to worry about me. Even though I'm small, I'm actually very strong. I know I can conquer this challenge if you believe in me." Teru just continued on after a moment of silence. One hand was stuffed in her pocket, wrapped around a handful of the handmade charms she had brought with her. She had briefly thought of handing them out to everyone before they split up, but had decided against it. After all, they had barely shared more than a handful of words together. They'd probably think she was just trying to be all dramatic again. Still... it would have been nice. Something that would make it feel more like they were an actual team. Thinking about the others made her quicken her step. "Um, is something wrong?" Salamon asked, struggling to follow. Teru noticed her Digimon's plight and slowed her step with a guilty look. "Sorry. I just think we should hurry and finish this so we can go and help the others. We shouldn't assume everyone is going to be able to handle these fights fine by themselves." "You should really believe in the others. They're all chosen, just like you." "I just don't want anyone to get hurt," Teru said. But Salamon's words had made her wince. After reaching their compromise, it doesn't take long before the insect hives come into view. Intricate structures made mostly of plant matter adorn the nearby tree trunks, climbing up into the canopy, dozens of feet in the air, where they gradually become interconnected, like some great termite nest. However, there are gaping holes in the structures, as if something had crashed through them. Before either human or Digimon can question this, they begin to hear a faint buzzing in the distance, approaching rapidly. Seconds later, a yellowish blur smashes through the side of a nearby structure, zooming past the pair and back out of earshot. The black wisps left in its wake make clear that Zak and Kunemon have found their target. Not long after parting with Zak, Yuki and Liollmon find a curious sight on the road. At first, it appears to Yuki to be a fallen, burnt tree, though they're not due to arrive at the burnt portion of the forest for another few hours. However, when the charred figure begins to cough and groan in pain, it becomes clear that this is another Digimon. Thanks to Pointer Island being a pretty small place, with a tight-knit community, Liollmon has no trouble identifying the blackened stump as Woodmon. Deep tracks trailing behind Woodmon indicate that he crawled all this way, rather than walked. He croaks out a few words, sounding just as bad as he looks. "A human...? Looks like... Jijimon wasn't crazy... after all. Be... careful. 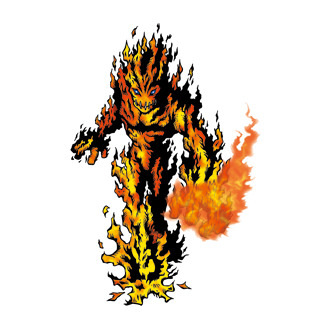 Me..." He trails off, and his body disintegrates into particles that float into the sky, the mysterious arsonist's last victim finally succumbing to his injuries. Kimiko hasn't been on the road for very long when she begins to feel as though someone were watching her. This feeling is soon backed up by the occasional faint rustling in the trees behind her. The Village of Beginnings isn't far from the refugee camp, and as it comes into view, it's clear that trouble remains afoot, as an explosion is heard, and a cloud of dust rises from somewhere in the village. A furious roar follows this, and Salamon can easily tell that it's Piddomon. Only angel Digimon like him could sound so pleasant while crying out in rage. Kimiko stops in her tracks and looks around. "We're not alone, Floramon...HEY! Whoever's there, just come out!" Yuki catches one of the floating particles, looking at it as it dissolves in her hand, and for the first time since she's come to the digital world... well, she looks more than a little angry. She says, "Liollmon... I don't know what we're going to find in that forest, but we're going to take it down." She starts jogging towards the burned forest in the distance, her hands still balled into fists. "Come on!" Liollmon looks a little shocked, falling behind, then charges up to keep pace, "Hey, wait! Goggle girl!" This was... super awkward. Mika trotted after her trailblazing partner in silence, glancing back every so often at Ogremon, who trailed after her. This was so awkward. It wasn't necessarily that she was afraid of Ogremon, per se, it was just that, well, she was kind of terrified of setting him off again. But this silence was starting to drive her nuts. "So," she started, and winced as the sound echoed way too loudly in her ears. "Um. Well. Sorry about before. No hard feelings, I, um, I suppose?" ~Get down!~ Kunemon is tugging at Zak's sleeve at this point. The boy takes a knee, but still has his phone out, recording the crashes and smashes as the angry Digimon continues to rampage. "Two more minutes, buddy? I have to get this recorded!" 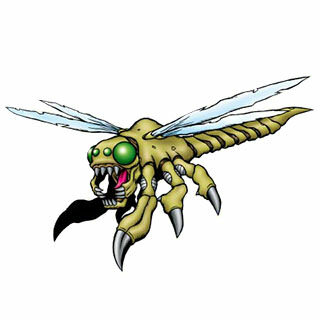 ~But...but..we're in danger!~ "We haven't been noticed yet, and it looks like Yanmamon is still focused on the hives. We need as much information as possible, so we can come up with a battle plan!" Zak actually grins and does a thumbs up. "As long as we put our heads together, we're unstoppable!" Going with my Personality Bonus here: Is it a good idea to try and build a trap to capture/slow down Yanmamon? "That's Piddomon's voice..." Salamon said, shivering to the tip of her short white tail. "I've never heard him make that sound before though." "We need some kind of plan," Teru said, crouching down and pulling Salamon with her, trying to stay in the foliage. "I don't think rushing in headfirst will work very well." She was mostly worried about how much damage Salamon would take if they tried that approach. 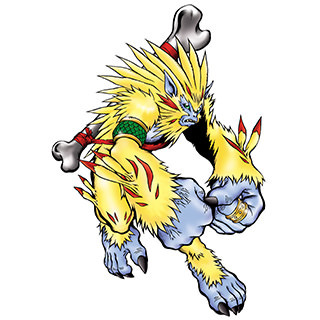 "What kind of Digimon is Piddomon?" Teru asked. "He's sort of like an angel," Salamon explained. Teru adjusted her glasses thoughtfully. "That puts us at a disadvantage, if he can fly," Teru said. Then she started quietly picking up some long fronds and stalks from the nearby wooded area. "What are those for?" Salamon asked. "If I can weave a simple net and get it on him at the start of the battle, maybe we could seal his ability to fly. 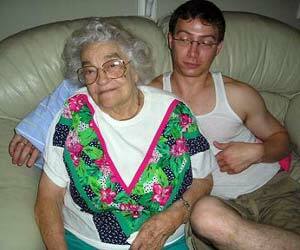 That would at least put you on more even terms," she said. Salamon dutifully started helping gather greenery, carrying them over in her mouth while Teru began to nimbly weave a simple net. As she calls out, a large shape swings down from the canopy, hanging from a tree branch. It's a large, apelike Digimon, with bright yellow hair. In his free hand, he holds what appears to be a sketch pad and pen. "Apologies for the worry. I am Apemon. I've never seen a human before, and I wanted to make some sketches, for reference. I'm a painter, you see, but I've already painted everything else on Pointer Island. Though, I suppose I'll need to start over; the fire burned up my collection." As Yuki approaches the burnt-down portion of the forest, she starts to see the charred, blackened trees, many of which still give off small amounts of smoke. Ash covers the ground like snow, her footprints leaving clear marks in her wake. In the distance, a single fire still burns, tall and bright, like a beacon. Ogremon shrugs, followed by a boisterous laugh. "Don't worry about it, I can't help but respect a trick like that! We don't have anything that spicy on the island, but I'll have to remember that gag!" It isn't long before Erica and Tapirmon start cutting north, perhaps a little earlier than strictly necessary, leaving Mika alone with two Digimon. It's Ogremon that breaks the silence this time. "So, uh, what's a 'Robin Hood', anyway?" A cursory examination reveals that the insect hives, while well-constructed, are made of fairly flimsy materials, similar to the rice paper used in some old-fashioned Japanese houses. Yanmamon appears to be avoiding the trees, so it may be that he can't break through solid wood so easily. So far, it doesn't look like the infected Digimon has noticed the pair in its rampage, but it's unclear how long that will last. Teru has no trouble finding the necessary materials with which to craft a surprisingly sturdy net. However, as she works, she can hear Piddomon drawing closer, and soon, his raving becomes clearly audible. "Detention! Detention! Permanent detention! Apollo Tornado!" At this last cry, one of the buildings in the village is surrounded by a vortex of flame, the toy-like structure soon engulfed in fire. Yuki keeps trudging through the increasing carpet of ash, her feet starting to leave furrows in the gray behind her. Liollmon pads along at her side, still looking at her every once in a while after that previous outburst, but Yuki is dead-set on finding what started the fire. And, for better or worse, it seems like the blazing beacon in the distance is going to be where she finds her quarry. Liollmon finally breaks the silence to say, "...Don't do anything stupid, okay? Just leave this one to me. I've got a bad feeling about it." Yuki gives the lion a look and says, "No way. I'm not about to run and hide. You saw what it did to that Woodmon. I'm not about to let it keep running wild." Liollmon grumbles, frustrated, and says, "Fine. Just try and stay out of my way, goggles. I'll take care of it whether I have to babysit you or not." The two fall silent after that, frustrations mounting, and keep on moving towards their goal. Floramon jumps at the arrival of a new friend, shaking Kimiko a bit. "Wow, that's cool! Kimiko's an artist too! I'm sure she'll be able to help you!" "A Digimon artist...heh. Sure, I guess you can sketch me. It's too bad about your collection. I know what it's like to lose something you worked really hard on. It's never fun. Oh, by the way, are we close to the beach? Me and Flora are going to see Tortomon." "That's quite simple," Penmon says airily, waving a flipper. "A Robbing Hood is, well, it's..."
A long pause settled over the group. "...Robin Hood was, like, a thief who stole from the rich people to help the poor," Mika volunteers. "Yes! That is exactly what a Robbing Hood is, and not a hat. That would be silly. Yes. Silly indeed." Penmon somehow looks a little relieved. "The point is, he was, like, someone who found his own way of solving the problems around him. I guess?" Mika sounds determined to turn this into a lesson, somehow. Working quick with the greenery she was able to find, Teru deftly wove a small net. 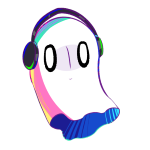 Not enough to completely cover the enemy, but enough to trip him up a bit and perhaps seal his ability to fly. Salamon's whimper made her look over. "The village..." Salamon said, the fire reflected in her sad eyes. Teru gripped the net tightly and stood. "Come on, if we wait any longer there won't be any village left to save," she said, and Salamon nodded with conviction. The two sprang through the smoke near the rampaging Piddomon, Teru quickly whipping the net right at the angel, praying it would fly true. The boy and his partner Digimon are trying to figure out a plan of action while Yanmamon rampages. "What about like, a biiiig bug net?" ~With what materialz? There'z not a lot of rope just~ Kunemon's forelegs wave around vaguely ~laying around.~ The Digimon pauses for a moment, deep in thought. ~Yanmamon izzz avoding the trees though...maybe we can dizzzztract him enough to smack into one?~ Zak responds with a grin that would have gotten him preemptively grounded for a weekend back on Earth. "I know just what to do...if you just follow my lead"
Zak and Kunemon are standing in front of the largest tree they could find. "On the count of 3, start yelling all the insults you can think of. I'll be using all the good swears I know, and those combined should get it's attention. When Yanmamon dives towards us, we jump away so it collides with the tree, and bada bing bada boom, we've saved the day!" ~Sounds like a plan *I'd* come up with, Zzzzzak!~ Kunemon is beaming. Apemon appears to think for a moment before responding. "It's not a long walk, unless you are very slow, but it's also not a short walk, unless you are very fast." He walks alongside Kimiko, continuing to sketch as he goes. "You know, it's not often that I can really talk about art with anyone, the other Digimon don't really seem to understand it. Is it like that for you back in the human world?" At first, Yanmamon keeps speeding past Zak, seemingly oblivious to his insults. However, after a couple minutes of concentrated invective, the Digimon stops, finally revealing itself to be a giant dragonfly. It turns towards Zak and releases a hostile buzzing sound as the cloud of dark energy catches up and surrounds it. It angrily buzzes, "Thunder Ray!" and curls its tail upwards. Then, a blast of lightning arcs from its tail, aimed squarely at Zak. Ogremon appears mildly disappointed. "Oh, uh, that's cool, I guess. I mean, I kinda prefer keeping it for myself...," he trails off sheepishly, leading to an awkward silence. However, it isn't long until something happens to draw the group's attention. As they near the hills where Ogremon and Golemon live, it's easy to see that many of the outlying trees have been knocked over, broken like twigs. The culprits remain at the scene, massive boulders that litter this section of forest. Ogremon starts to look worried. "Ah, geez, Golemon must've been throwing rocks all over the place, hope he doesn't-ack!" the words die in his throat as he spots something in the distance. Another boulder is sailing through the air, falling right towards Mika's group. While Teru makes a good effort to throw her net, she ends up stepping on a particularly brittle twig, and draws Piddomon's attention. Seeing the net flying towards him, he draws his wings back and shouts, "Fire Feather!" He flaps his wings forward, launching a volley of burning feathers that burn several holes in the net. However, Teru's quality construction allows it to hold its shape, and it does manage to wrap itself over Piddomon, who looks none too pleased as he falls to the ground. "Another prankster, huh?! I think it's time for some corporal punishment!" 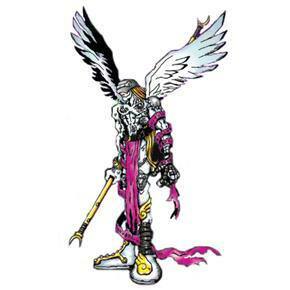 He maneuvers the staff he's carrying, and uses the bladed tip to slash away the net surrounding him, though he neglects to free his wings in his haste to punish what he seems to see as a misbehaving student. As the pair approach the flame in the distance, it becomes clear how tall it is, jutting impossibly out from a tree stump like an immobile jet engine. However, once they approach close enough, the truth becomes clear, as the flame begins to speak. "He told me you would come. If I burned it down, heralded the great one's arrival, you would be called to this world. A foe worthy of testing my rage." He turns towards Yuki, revealing blue eyes that burn like coals, and a mouth covered in stitches that somehow resist the fires of the Digimon's body. "Greetings, Digidestined. I am Meramon, herald of the great destroyer. His teachings have harnessed my rage and made me strong. Now, before he awakens and we reduce this world to cinders, I would know your power." Special: Evasive but Fragile: Halve your current Power rating when attacking Yanmamon. However, on a hit, deal a minimum amount of damage equal to your base Power. Analysis: This dragonfly Digimon is super fast! His Thunder Ray and Sonic Bite can really bug you if you're not careful! Analysis: It's a good thing there's no Virus Digimon around, or Piddomon would burn them to a crisp! Look out for his Fire Feather and Apollo Tornado, or you'll get the third degree. Special: Burning Body: Any Digimon that attacks Meramon with a move that makes physical contact takes 1 Stress afterwards. Analysis: This guy's a real hothead. Try not to touch him, or you'll get burned! It's entirely possible that, had Yuki not just seen a sentient tree turn to digital ash in front of her, she might have been inclined to talk things out. Figure out who the great destroyer was supposed to be, at least, maybe get a clue as to what they'd have to fight to save the day. But today? Now? With this walking conflagration? It's just lucky it talks fast, because the moment it says 'power', Yuki lobs an egg-sized rock straight at the flame thing's stitched-up gob. The coaches always said she had the arm of a pro. From the way it bonks off of Meramon's face, and the subsequent glare, Yuki guesses that the digimon is not going to be too happy with her. Not at all. Of course, she's not about to stop. The next rock is already bouncing up and down in her hand. 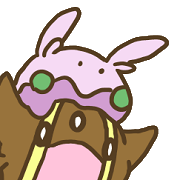 Liollmon has +1 power for the turn as Meramon is opened up. Liollmon, for once, is on the exact same wavelength. A split-second later, his claws cut deep into Meramon's side. The strike isn't without cost, though, as his paws are more than a little scorched by the sheer heat radiating off of Meramon. He skids awkwardly to a stop, dancing to keep pressure off his now-tender paws, and despite that tries to intimidate Meramon with a growl! 2 stress, then Liollmon takes 1! "Hah, I almost have the opposite problem. My art's all anyone seems to want to talk to me about." Kimiko slows down for a second and gives a heavy sigh. Zak braces himself as the giant dragonfly digimon slows down and turns towards him. Okay, here comes the char...lightning!?!?!? He wasn't expecting that to happen! The sudden change in attacks makes Zak freeze up, and all he can do is stare at the incoming bolt. Kunemon tries to leap in front to protect the human, but in the sheer panic only manages to knock him over in a tangle of human and Digimon. At the very last second, Zak manages to shove Kunemon away so that there's no conducting of electricity between the two. When the bolt strikes, Zak whites out for a second from the pain. it's like a million static electricity zaps, at the exact same instant. "You did it!" Salamon cheered, though her elation was short-lived as the full wrath of the possessed teacher was turned on them. She shrank back a bit, the rule-stickler in her paling at the thought of attacking a teacher. But Teru's command snapped her out of it. "It's now or never, Salamon!" "Right!" Salamon nodded, and dashed forward, gathering the power of light. "Sorry Mr. Piddomon! This is for your own good!" "Most people would, but that's why people tell stories about Robin Hood and not other-" Hearing a faint whistling sound, Mika looked up mid-sentence. "-thieeeEEEEEEEEVES lookoutthat'sabigrock!" Penmon jolted into action at the same time Ogremon did, leaping at the falling rock and hammering at it repeatedly with his wings. Mika, meanwhile, cowered, frozen in place by the sight of certain doom approaching. The boulder shatters as Ogremon and Penguinmon combine their strength. As the dust clears, Mika can see several other boulders landing in the forest all around her position, thrown, apparently, at random. A bellowing cry can be heard from the craggy hills, the voice likely belonging to Golemon. Wiping his brow, Ogremon suggests, ""Hey, we should probably start runnin', at least until we're close enough that we don't gotta worry about those rocks no more." Apemon looks confused as Kimiko relates her problem. "I am afraid I don't understand, I would be overjoyed to spend all my time talking about my art. Why would you not be pleased to have people interested in your work?" As Zak recovers from his electrocution, Yanmamon begins flitting about angrily, building up another charge. While it's no longer moving at its previous breakneck speed, it remains extremely fast, remaining out of reach. Piddomon is momentarily staggered by Salamon's sudden attack, but recovers quickly, letting out an angry growl before thrusting his fist forward, unleashing a vortex of flames. As Meramon is raked by Liollmon's claws, he seems less bothered by it than one might expect. His voice hisses forth in indignation. "Is this all the power you can bring to bear?! 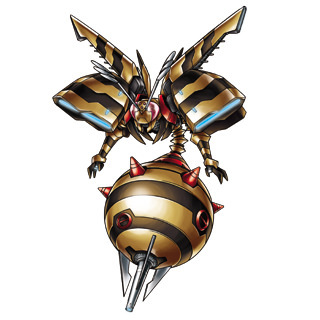 The stories say the so-called 'Digidestined' can cause their partners to Digivolve as though it were nothing! Do you believe me so feeble that this mere... kitten could defeat me?! Show me the supposed 'power' of your partnership or I shall add your ashes to those of this forest!" As if to emphasize his point, Meramon unleashes a gout of flame behind himself, instantly consuming the charred remains of several trees. Yuki points directly at Meramon's ugly mug, all but yelling, "Shut up, you... you... monster! You killed them!" She stomps her foot down, jabbing a thumb at her own chest, then adds, "You want to kill us too? Just try." Attempting to Distract the Enemy. Liollmon, meanwhile, doesn't seem to have much interest in stopping just yet. He charges and growls, "I'll show you who a kitten is! Lioll... Claw!" Unfortunately, though, the flames are just too intense. Despite his best efforts, Liollmon can't get close enough to sink his claws into the fiery menace. "It's...well...people put a lot of pressure on me regarding my art. And sometimes, it makes the art less fun. A lot of people are expecting me to make this art my living." Floramon pipes up, "Well, you like it, and you're good at it, right?" "Yeah, that's true, but doing it for a job is harder work than it sounds." "There's a point where we'll, like, be close enough?" Mika manages to get out, but she's already running, awkwardly clutching her laptop bag to keep it from sliding around as she went. "Past a certain point, he won't be throwing the boulders any more; just swinging them around," Penmon points out, waddlewaddlewaddling to keep up. "That's not, like, really all that helpful!" Teru was elated and even let out a cheer when Salamon's attack struck home, but her excitement was short-lived. The blow barely seemed to phase the larger Digimon, and suddenly the realization of just how different the two were in size came crashing home. Terrified, Teru called out for her partner. Startled, Salamon glanced back at Teru, which prevented her from focusing on the fiery attack bearing down on her. Piddomon's flames struck her with a horrible booming impact, and she was thrown to the ground at Teru's feet. Teru snatched Salamon off the ground and hugged her tight, dashing away from a flaming follow-up and sheltering behind a small pile of debris. "Salamon! Salamon!" Teru called, looking down in horror at her injured partner. She found some small relief that the flames hadn't totally fried her friend, but there were still some nasty red patches and Salamon winced with every movement. "He's strong..." Salamon said, flinching from the effort of speaking. "But I can't give up. We have to save him and the village." Teru bit her lip, she wanted so badly to tell Salamon it was impossible and run the two of them to safety. But then her Digimon met her eyes, and she saw hurt there. Salamon could see in her face that she didn't think they could do it. More specifically, Teru didn't think Salamon could do it. Teru couldn't help but feel protective of the cute little monster, but Salamon thought of herself as a noble protector, and Teru could tell how much it hurt her that her own partner didn't have faith that she could do the job. They could both hear Piddomon approaching, and the air around them was getting hot. "I have to go. I have to fight!" Salamon said, and struggled to free herself from Teru's arms. Her eyes were pleading. Teru closed her eyes and took a deep breath, then she set Salamon down gently. 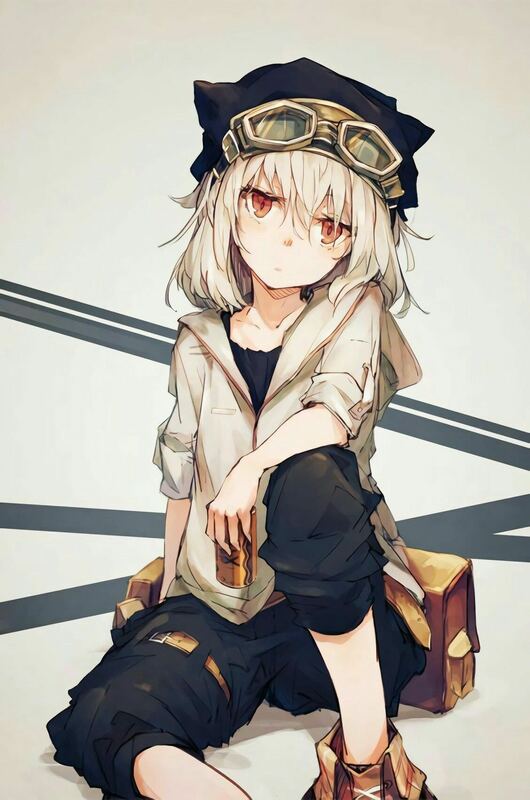 Reaching into her pocket, she pulled out one of the small shrine charms she had been carrying. "I don't believe in spirits or faith in God or anything like that," she said, bending down to tie the charm around Salamon's neck. "But I do believe that people's hearts can come together. I wanted to give one of these to everyone so we could feel more like a team, but I just couldn't bring myself to speak up. I thought they'd laugh at me, say it was just another one of my corny gimmicks. But right here, right now, I'm going to start the team. Right now it's just you and me, but I believe the others are fighting their hardest too, so I'll have faith in them and... I..."
She stroked Salamon's head, her fingers twitching to pick up the little Digimon and run, but she stilled them and gave Salamon a smile. "I have faith in you. I can see in your eyes that you're never going to give up. So I'll believe in your strength." Meramon effortlessly steps out of the path of Liollmon's attack, though he ignores the Digimon to focus on Yuki. "The weak have no place in this world! Only those whose rage burns brightest may survive, and to them, the Great Destroyer grants power! Surely, you have seen it! His blessing seeks those whose fury is strong enough to gain His attention! But it seems I overestimated you, Digidestined, and your time to impress me has run out! Roaring Fire!" Meramon extends a burning fist, and a gout of flame launches directly at Yuki. Apemon shrugs. "I suppose one would need to experience it to know what it's like. It seems we are nearing the beach. As a pacifist, I would only get in your way, but I would advise you to take care around Tortomon, for his shell is extremely hard. It will take either great force, or great finesse, to overcome his defenses." As Mika gets closer to the hills, it becomes clear what Ogremon meant. Golemon is only throwing boulders for distance, leaving the area near the foot of the hills completely clear. She can now see gaps in the ring of rock formations that make up Ogremon's home, and through them, movement is clearly visible. Ogremon whispers, "Okay, so, Golemon's pretty strong, you should probably do that 'Digivolution' thing Babamon was talkin' about." As Zak collapses, Yanmamon rears back and lets out a buzzing roar, preparing to strike again. As Teru declares her faith in her partner, her Digivice begins to glow. It's nothing like when Salamon first Digivolved, far brighter and more intense. And yet, its still feels restrained. The way Teru's Digivice is glowing looks almost pressurized, like there's infinitely more light, just waiting to be released at her command. Somehow, through this blinding glow, Teru can read two words on the simple LCD screen. 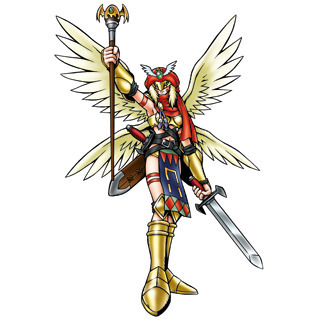 And then the bladed tip of Piddomon's staff slices over her head, knocking away most of her cover and revealing the snarling face of the angel Digimon. The light was almost blinding, but somehow it didn't hurt Teru's eyes as she looked straight at it. It seemed to burn away all her doubts and fill her with a bottomless spring of courage. Turning, she faced Piddomon. "Salamon, you got this," she said stretching out her hand to bathe her partner in the holy light of the Digivice. "Right!" Salamon said, as her tiny form dissolved into the light. Special: Holy Power: Darcmon has +1 Power when attacking Virus Digimon or Digimon corrupted by viral influence. Special: Joan's Blessing: At the start of combat, choose one allied Digimon (besides yourself). They get +1 Power until the end of combat. Analysis: This Digimon is made up of historical data about the Maid of Orleans! Her sword, La Pucelle, is said to purify evil! Her "Baptï¿½me d'Amour" technique gracefully cuts her enemies to pieces! Yuki stares certain, flaming death in the eye and doesn't blink. She's not sure if this is game, not sure if this is a prank and, hell, she's not even sure if she's totally lost it. But that doesn't matter much now, does it? If there's one thing she'll never going to stand for, not here and not at home, it's a crazy jerk like Meramon who thinks he can do whatever he wants because he's strong. The fires grow closer, the heat playing over her face, and she tugs her goggles into place. And maybe, just maybe, she really wishes that there's someone there to help her. Someone that she can count on no matter what. Liollmon, for his part, is more concerned with sinking his claws into Meramon than with whatever the idiot goggle-face is doing. He swipes helplessly, unable to capitalize on the opening that Meramon's attack left, and it's only as he tumbles into a tree that the sight of Yuki braving the flames finally sinks in. There's an odd pang in his chest, nothing he's felt before, as he watches the flames swirl towards his... his what? He'd never thought of her as anything but a drag, just another squishy thing to keep an eye on while he did the tough business of beating up the bad guys and saving the day. And where had that gotten him? Yuki, gulps, the impending reality finally sinking home a bit, and she shouts, "Liollmon!" As he slams into the girl, shielding her from the worst of the blast, Liollmon roars, "Yuki!" Intentionally failing the relevant speed and defense checks, but... well, I don't think it'll matter much! As Liollmon dives into the path of the flames, time seems to slow, until it's nearly stopped, and a blinding light engulfs both Digidestined and partner, as Yuki's Digivice activates. The flames part to either side of Yuki, as a massive silhouette holds a blade into the oncoming fire, splitting it. 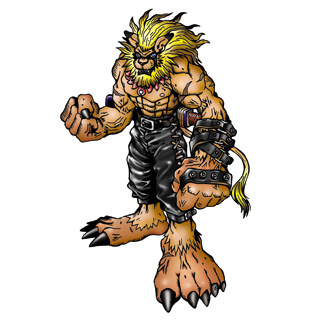 Special: The Leomon Curse: Automatically succeed at Speed checks to intercept attacks aimed at allies. Recover all Stress after any scene in which you took damage for an ally and were not knocked out. Analysis: Leomon's a tireless defender of justice, though this one's attitude seems a little different than usual. His Fist of the Beast King packs a real punch! And that sword he carries isn't just for show! "I think we'll be okay. Hey Tortomon! You around here? We wanna talk to you!" "Mika?" Penmon tugged at her skirt, looking baffled that his tamer had just sort of suddenly stopped moving. "Do remember that we are in a situation where we don't have the luxury of standing around." "Oh, um. Right!" Mika shook her head. "Well, even if I don't know how you managed to Digivolve the first time, we'll make it through. You're tougher than anyone else I've met, no matter what form you've got. Let's do this!" With that, she started running towards Golemon, Penmon waddling as fast as he could behind her. While his partner lays on his side still in pain from the shock he got, Kunemon scuttles in front of the human and rears up as much as he can, in a futile attempt to intimidate the rampaging Digimon. Kunemon hears some soft clapping from behind at the end of the dramatic statement. Zak has somehow found a decent sized stick, and is using it to prop himself up. "That was a pretty awesome speech buddy, glad I wasn't totally unconscious for it." He begins slowly walking forward to stand beside his partner. "You showed me that this isn't all fun and games. That I have a reason to be here. I tried to play it off before, because it sounded a lot like what my dad is always telling me. But he tells me a lot of things too. 'Stand up for yourself' 'Always stay close with your true friends' 'Never back down from a challenge'" Zak hefts a rock in his hand, and points at Yanmamon. "And that's what I'm doing now, you nasty bully! You wrecked all these homes, and now I'm going to wreck you! Me and Kunemon, we're unstoppable!" As Zak calls out his challenge to Yanmamon, a light begins to emanate from his Digivice, and soon envelops both himself and Kunemon. Special: Bear Buster: You may ignore the negative effects of enemy specials and the enemy's Power penalty when attacking. If you use this ability, you may not block, evade, or intercept this turn. Analysis: Don't be fooled, that's no stinger, that's a laser cannon! As if his Turbo Stinger wasn't enough, he can charge it up to fire the unstoppable Bear Buster! Prodigious! Golemon doesn't even seem to notice Mika and her partner as they rush toward him, and continues hurling boulders in his fury. A noticeable pit has formed behind him, as he gouges his ammunition straight out of the ground. It appears the Digidestined has the initiative. Ogremon creeps along behind her, and whispers, "Don't worry, I'll try to help you out." As Apemon starts making his way back towards Jijimon's camp, a shape begins to rise out of the water in response to Kimiko's call. 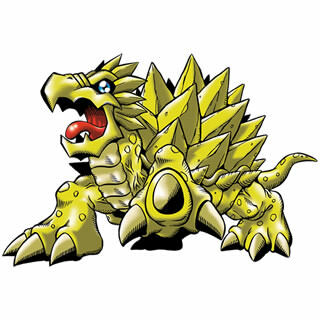 Sandstone-yellow and covered in spikes, Tortomon proves to be quite enormous, emerging from the sea with a spray of water. He opens his mouth wide and... yawns, before greeting Kimiko in a congenial drawl. "G'mornin'. What c'n I do ye fer? I was jus' havin' a li'l nap 'n, er, hey, Apemon, ever'thin' okay?" Puzzled, Tortomon is looking at Apemon, who is suddenly standing stock still. No sooner had the artistic Digimon turned to leave, than a gout of water from Tortomon's entrance drenched him, and his notebook. As he stares, horrified, at the ruined sketches, a familiar black mist begins to gather around him. And then, he unleashes a mightly howl, pulling the club from his back, and wheeling about, preparing to attack. Special: Big, Strong Hands: On a failed Block or Evade roll, the target is sent flying, and is thus unable to attack in the following round. Analysis: Golemon's Rock Punch will knock you for a loop! Try not to get hit! Special: Bone Club: Deal +2 damage. Analysis: Apemon's the king of the jungle, watch out for his Bone Strike! "Darcmon..." Teru was stunned by the beautiful new appearance of her partner. For a moment she forgot all about the battle and just stared up at the brilliantly shining angel in awe. Then a fearless smile played on her lips. "An angel, huh? Must be the universe telling me it's time to believe in something." "Believe in me, Teru," Darcmon said, her voice serious and sonorous as a church bell. "I do, Darcmon. From now on, I'll put all my faith in you," Teru said, clenching her fist in front of her heart. "And I will put mine in you," Darcmon said, and touched the lucky charm tied around her neck. Then she turned to face the enemy. Drawing her slender blade, she plunged it directly at the attacking Piddomon. "Taste blessed steel, fallen one!" she cried.